Get In Touch 24 hours a day 7 days a week. At Valentine Executive Travel Solutions we pride ourselves on being available as and when you need us to be, that's why our dedicated team work hard to provide you with a service 24 hours a day 7 days a week. 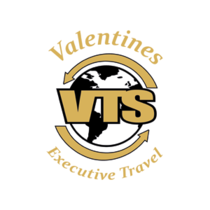 Valentines ‘Executive’ Travel Solutions is a relatively new organisation that was established in 2009 by father and son Jerry and Chris Valentine. Over the years they have both spent a significant amount of time working within the transportation industry which has helped them to develop their knowledge and learn the necessary skills that are involved with providing a successful service. And so the journey began, the duo set up base at unit 1 on the Coppi Industrial Estate in Rhos with a dream to become the best transportation option in North Wales and surrounding areas. In the early days the business operated using just one bus, however, in only a short period of time the client base rapidly grew allowing the business to develop into a leading provider within the industry. Today, the business proudly consists of ten highly skilled employees and includes a fleet of 12 top of the range vehicles varying from 5 seater cars to 16 seater mini buses. All vehicles are well maintained and come fully equipped with Global Positioning System (GPS), CCTV and disabled access which allows us to offer our clientele the most professional, reliable and safe service. All services that we provide are handled with expertise 24 hours a day 7 days a week by our hard working staff. Our drivers are licensed and have passed background checks to ensure we stay committed to providing our customers with the safest and most professional experience. We are recognised for our competitive rates which is another reason why we continue to grow and our clients keep coming back. To ensure that we continue to provide the best possible service we welcome all forms of feedback, be it positive or negative, any advice that can be used to help us improve and provide the quality service that our customers have come to expect will be greatly appreciated and fully taken on board. If for any reason you can't find the information or particular service that you are looking for then please do not hesitate to get in touch with us, at Valentines Travel Solutions we believe that the more information that you know about us then it’s more likely you will choose to use our service. For all details regarding how you can get in touch with us visit our contact us page. Please follow us on Twitter or like us on Facebook to keep up to date with all the latest information and company news. For quotes please complete the booking enquiry form and we will contact you to either confirm or provide you with more information.